Inconel 718 Round Bars are austenitic nickel-based superalloy. Inconel 718 bar is designated as UNS N07718 and Werkstoff Number 2.4668. Inconel 718 Rod is also known as Nicrofer 5219 Round Bar, Superimphy 718 Bar, Haynes 718, Pyromet 718, Supermet 718. and Udimet 718. 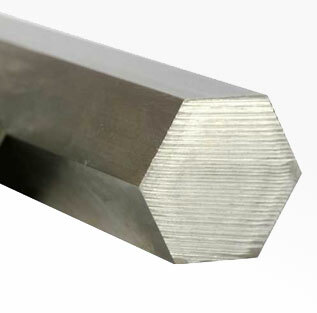 Inconel 718 Hex Bar Chemistry is Nickel 52%, Chromium 19%, Iron, 18%, Columbium 5%, Molybdenum 3%, Titanium 1%. These Alloy 718 Round Bar, Hollow Bar and Inconel 718 Shaft are mainly used in Gas turbine engines ducts, cryogenic tanks, springs and fasteners and motor components. For most applications, Inconel 718 Flat Bar is specified as: solution annealed and precipitation hardened. Inconel 718 Square Bar is hardened by the precipitation of secondary phases. Looking for best price of Alloy 718 Bar in India? We have no minimum footage requirements. We will supply the exact amount of 718 Inconel Round Bar you require even if it’s small quantity in any of these 718 Inconel Bar. 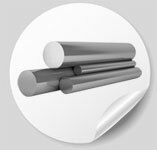 Contact Steel Tubes India- the right Inconel 718 Round Bar Suppliers near you. Steel Tubes India is manufacturer & stockist of UNS N07718 Bar, Inconel 718 Bright Round Metric (BRM), Alloy 718 shaft bars for use in Valve Shafts, Piston Shafts, Pump Shaft, Cylinder Shafts, Boat Shafts and Bearing Bars. Inconel 718 Drawn bars have greater size accuracy, straightness, and increased tensile and yield strength, as well as improved machinability. 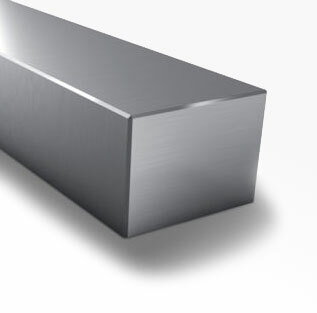 In addition to standard Alloy 718 cold drawn bars, it can be supplied as turned and polished, turned ground and polished and drawn ground and polished in shape of square, hexagonal and flat bars. Our custom Inconel 718 Forged Bars & 2.4668 Inconel 718 Bar are suited for multiple applications and serve a variety of different industries. AMS 5662 Inconel 718, Alloy 718 Forged stepped shafts, AMS 5663 Bar & ASTM B637 UNS N07718 Bars tend to be stronger than Alloy 718 rolled bars due to the solid forged center that is provided via the forging process. Our Dealers & Distributors in Europe, Trinidad & Tobago, Singapore, Qatar, United Arab Emirates, Oman, Malaysia, Kuwait, Canada, Ethiopia, Australia, United States, United Kingdom, Germany, St. Helena, South Africa, New Zealand, Nigeria, Ghana, Hong Kong, Saudi Arabia, Philippines, Ireland, Pakistan, Belgium, Taiwan, South Korea, Iraq, Norway, Finland, Egypt, Netherlands, Denmark, Iran, Kenya, Sweden, Thailand, Greece & Indonesia arrange complete range of AMS 5662 Bar and Forgings & Inconel 718 Rebar in shortest time as well at best price, because we maintain AMS 5663 Bar and Forgings in the form of Rod, Round Bar, Bright Bar, Flat Bar, Hex Bar, Square Bar, Block, Threaded Bar, Ingot, Shaft, Billet, Straight Forging and Extruded Section in stock for sale, so it saves time & cost to procure any size range in Inconel 718 Black Bar stock in rounds, square and flats from any other vendor or Manufacturer of Hot Rolled Inconel 718 Round Bar in India. We also offer Inconel 718 Bright Round Bar lengths are cut, straightened again and the ends are chamfered before the AMS 5664 Bar and Forgings is polished and tested. Our online Inconel 718 Round Bar Weight Calculator allows you to calculate an estimate of the weight of different sizes of Inconel 718 round bars, Inconel 718 Cold Drawn Round Bar, Inconel 718 Bright Round Bar or Inconel 718 Metric Bright Round Bar based on dimensions and shape. Check below table of ASTM B637 Bar sizing chart which shows nominal size and provides convenient weight data. Inconel 718 Half Round Bar combines excellent mechanical properties, strength, corrosion resistance, and ease of welding. Alloy 718 Round Bars & Alloy 718 Bright Round Bars are mainly use when the highest level of accuracy and precision are needed along with a bright finish. Steel Tubes India is supplier of Alloy 718 Round Rods as Cold Drawn, Centre less Ground & Polished, Peeled, Smooth turned or Rough turned.. We are stocking distributor of Inconel 718 Peeled Bar. We offer best price of Alloy 718 Bars in India & Europe. Special price offer on Inconel 718 Rectangular Bar and Inconel 718 octagonal Bar. Alloy 718 Bright Bar, Alloy 718 Flat Bar and large diameter alloy 718 round bar are available in more than 60 types of thickness & sizes. Buy Inconel 718 Bright Ground Bar stock at best price. Compare our Alloy 718 Rod price with Inconel Alloy 718 Round Bar price in China. Looking to buy Stainless Steel Round Bar? Stainless Steel Bright Bar? With regards to Inconel 718 round bar hardness & weight, the weight of Inconel 718 round bars tend to be different, based on the need for these Inconel 718 round bars. Inconel 718 round bar hardness is Rc 36. The Density of Inconel 718 is 0.296 lb/in³ (8.19 g/cc). The Yield Tensile Strength of Inconel 718 is 160000 psi (1100 MPa). The Ultimate Tensile Strength of Inconel 718 is 160000 psi (1100 MPa). Inconel 718 Round bar is exactly as it sounds; a long, cylindrical metal bar. 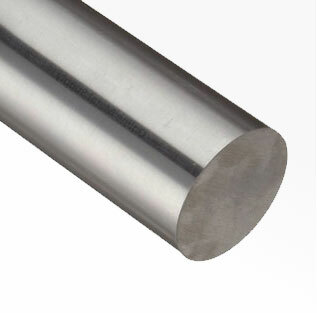 Inconel 718 Round bar is available in many different diameters ranging from 1/4" up to 24". Inconel 718 Precision ground bar is manufactured through induction hardening. Induction hardening is a non-contact heating process which uses electromagnetic induction to produce the required heat. Inconel 718 Centerless ground bar is typically produced by turning and grinding the surface to a specified size. Inconel 718 Precision Ground Bar, also known as ‘Turned Ground and Polished’ shafting, refers to round bars made with fine precision and high-quality steel. They are polished to ensure flawless and perfectly straight surfaces. The manufacturing process is designed for extremely close tolerances for surface finish, roundness, hardness, and straightness which ensures a long service life with reduced maintenance. Standard lengths of 2000 mm up to 6000 mm. Cut to size on request (tolerance +2/-0 mm). 1) Solution Treatment (AMS 5662 Bar / AMS 5596 Sheet): 1725°F - 1850°F + Air Cool. Heat Treatment (AMS 5663 Bar) : 1325°F for 8 hrs, cooling 100°F/hr to 1150°F, hold at 1150°F for 8hrs min, + Air Cool . This treatment gives the highest room temperature tensile and yield strengths as well as producing the highest fatigue strength. It is the optimum heat treatment for Alloy 718 where a combination of rupture life, notch rupture life and rupture ductility is required. Heat Treatment: 1400°F for 10hrs, furnace cool to 1200°F, hold at 1200°F for a total aging time of 20 hrs + Air Cool. This is the prefered treatment in tensile-limited applications as it produces the best transverse ductility in heavy sections, impact strength and low temperature notch tensile strength. However, this treatment has a tendency to produce notch brittleness in stress rupture.